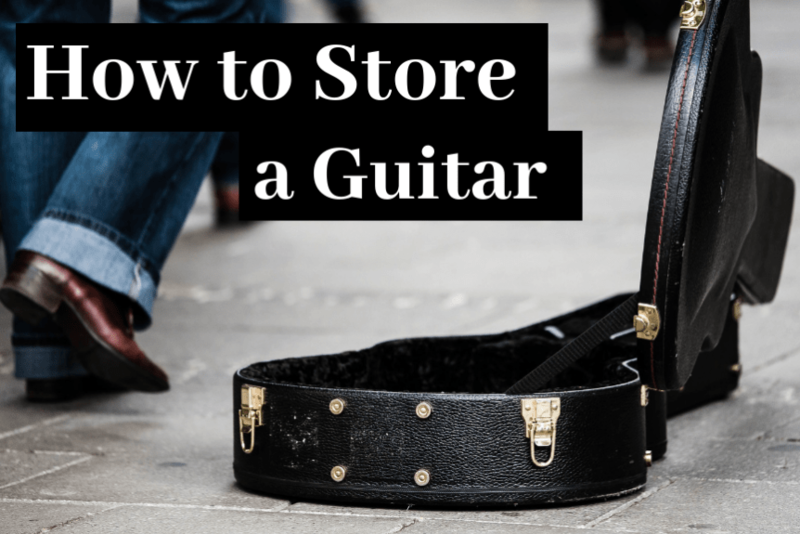 Learning how to store a guitar properly is essential if you want to keep it in pristine playing condition for years to come. Far too often, guitars suffer from permanent damage due to carelessness, or ignorance. Today, you’re going to learn how to store your guitar at home with 7 simple tips that will help extend your guitar’s life and keep it playing like new. What’s the Ideal Humidity Level for Guitars? There are plenty of different ways to store a guitar depending on the situation. The main methods of storing your guitar include hard cases, gig bags, guitar stands, and wall hooks. Some do a better job at protecting your guitar than others but at the cost of convenience. Depending on how much you play, you’ll need to choose an option balances overall protection, with accessibility. After all, guitars are meant to be played. Sure locking it up would keep it safe, but if it deters you from picking it up and playing it, then it might not be worth it for you. If you know that you’re going to storing your guitar long term, you should definitely consider getting a hard case. Hard cases offer the best protection out of all storage methods. Since they’re typically pretty heavy, they offer great support for the guitar and protect it against physical damage. Hard cases also do a great job at protecting the guitar against climate changes, such as temperature and humidity. The main problem with hard cases is that they’re inconvenient. They’re big and heavy to carry around and don’t allow you to display your guitar when you’re not using it. Personally, I usually only put my guitar in a hard case when I’m I know I’ll be storing it long term, or if I’m traveling with it. If you’re going to be bringing it on an airplane or shipping it, hard cases are essential. Gig bags are great for those who like to carry their guitar around everywhere with them. As the name suggests, if you play a lot of gigs and live performances, gig bags are great because of how lightweight and easy to carry they are. Though they don’t offer as much protection as hardshell cases, they still doing a decent job at protecting your guitar from physical damage. However, gig bags do not protect your guitar from temperature and humidity, so you should never leave them in extreme weather conditions. As for what gig bags to use, I’d say anything is fine. 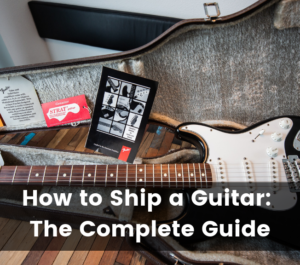 Usually guitars ship with gig bags, so you can just use that rather than buying a third party gig bag. Guitar stands are a good option if you need easy access to your guitar. With a guitar stand, you’ll be able to fully display your guitar when you’re not using it. 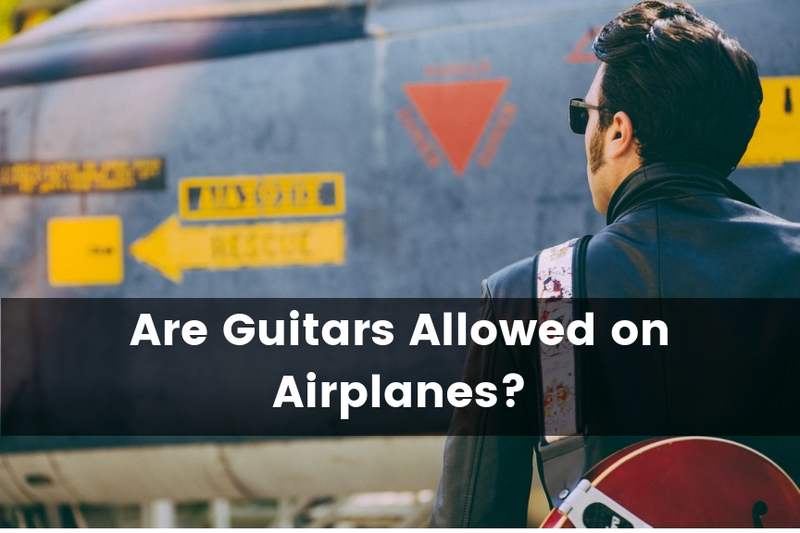 However, since your guitar is completely exposed, it obviously doesn’t offer too much protection from physical damage or climate changes. At the very least, it offers some support for your guitar so it doesn’t fall over. It’s much more favorable than resting it against a wall like many people do. 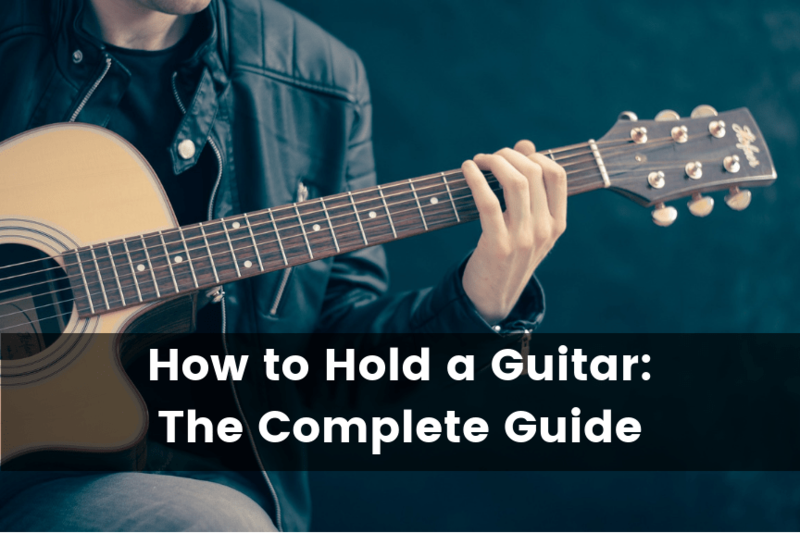 If you’re using a guitar stand you might run into some problems, such as your guitar falling over if it’s not rested on the stand properly, or scratches to the finish depending on the stand you buy. When it comes to stands, I prefer the tripod style stands rather than regular body stands. I feel they do a better job since they support the guitar at the body and the neck rather than just the body. 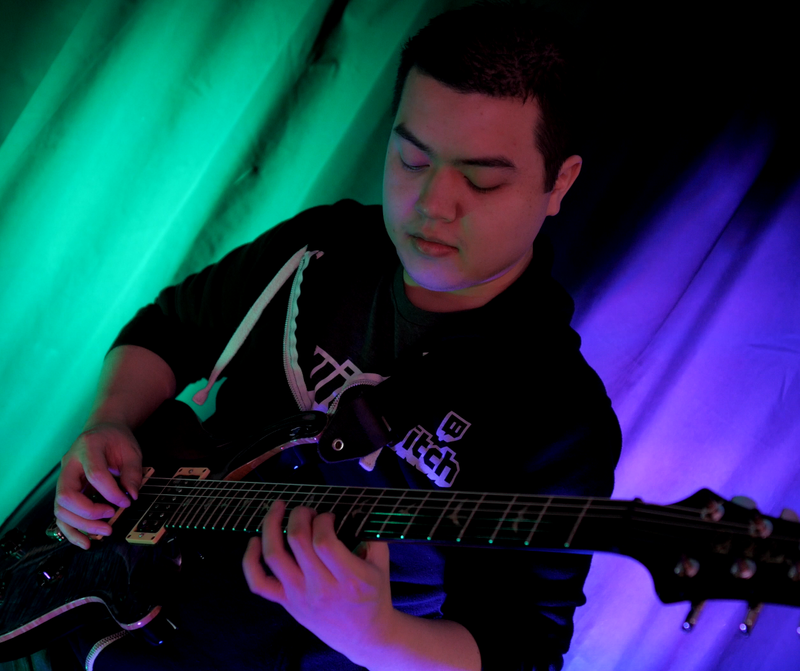 You can find the guitar stand that I use here on Amazon. Wall mounts are similar to guitar stands in the sense that they’re good for displaying your guitar, but don’t offer too much protection. The advantage of wall mounts have over guitar stands is that they take up less space. 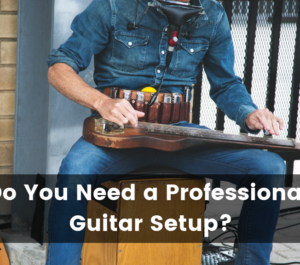 In addition, you really don’t have to worry about someone knocking the guitar over, which is pretty common with guitar stands. On the other hand, wall mounts are less convenient because they require you to drill holes in your wall to install them. They’re more of a permanent solution, unlike a guitar stand where you can move it around or bring it with you to a gig. Far too often, guitars suffer from physical damage due to falling over. I can’t tell you how many times I’ve seen guitars fall over and get dinged up because they were left standing upright against something. Don’t lean your guitar up against a wall or table when you’re done using it. It’s a recipe for disaster. This even applies if your guitar is in a case or gig bag. Even though they’re padded and offer some level of protection, your guitar can still get damaged if it falls over. When you store your guitar in a case, make sure it’s resting on the floor horizontally. After all, there’s no way for it to fall over if it’s already on the floor. If your guitar isn’t in a case, make sure it’s resting on its stand or wall mount. When you play your guitar oil and grime from your fingers build up over time. This can make the guitar strings and metal hardware on the guitar rust and corrode over time. This is why you should always clean your guitar before storing it away. You should also clean and condition your fretboard with either lemon oil or other fretboard conditioner to prevent it from drying out. I personally use the Music Nomad Guitar Kit for cleaning my guitars, and I’ve had great success with it. It’s a 5-piece kit that has everything you need to clean, polish, and restore your guitar. One of the most important factors to consider when storing your guitar is the humidity level. Since guitars are typically made out of solid wood, they are very susceptible to permanent damage from extreme humidity levels. If your guitar is exposed to extreme humidity conditions, you could run into problems such as warping of the neck, damage to the finish, cracking, high action, fret buzz, fret sprout, and more. The ideal humidity level for guitars is between the 45%-55% range. In general, you should store your guitar in an environment where the humidity level isn’t too high or too low. However, the most important thing to remember is that should keep your guitar at a consistent humidity level. Avoid moving your guitar from high humidity to low humidity in a short period of time, as the wood of the guitar will react to these extreme sudden changes. You want to make sure you store your guitar in a humidity controlled environment. I would highly suggest buying a digital hygrometer on Amazon. It’s a very cheap and convenient way to measure the humidity of the room. If you live in an area that’s extremely dry, you should consider investing in an air humidifier. They’re a cheap and easy solution for controlling the humidity in the room. You can find the humidifier that I use here on Amazon. Also, be sure to keep your guitar out of direct sunlight. Exposure to the sun’s rays for an extended period of time can dry out your guitar and potentially even crack the wood. Direct sunlight can also ruin your guitar’s finish by making the color fade, which doesn’t look too great. Similar to humidity, maintaining proper guitar storage temperature is essential for preventing permanent damage. Low temperature can cause the frets to shrink and high temperature can cause the wood to warp, or melt the glue. The best temperature store your guitar is around 65-75 °F (18-24 °C). You should avoid exposing your guitar to extreme weather conditions for extended periods of time, or rapid changes in temperature. Never leave your guitar in your car trunk overnight when it’s hot, or cold. Instead, store your guitar in a consistent temperature controlled room. Here’s a simple rule of thumb. Don’t expose your guitar to climate conditions that you wouldn’t want to be exposed to yourself. If you keep that in mind, your guitar should be safe. The strings on a guitar put hundreds of pounds of tension on the neck. Over an extended period of time, this can cause some severe damage to the neck, causing it to warp. If you know you’re going to be storing your guitar long term, you should loosen the tension of the strings. Before storing the guitar, simply turn the tuning pegs one or two steps down. You should still have some string tension, so don’t completely loosen the strings. At the end of the day, guitars are meant to be played. Even if you’re planning to store your guitar for a long period of time, you should still take out and play it once in a while. If you want to extend the overall life of the guitar, you should also take it out to do some basic setup and adjustments. Over time, the guitar neck will naturally start to warp. So, it helps to make some minor tweaks truss rod as necessary to prevent it from warping beyond repair.